Hi, if you have redeemed BookMyShow codes and running out of promo codes, Do not fear when FindLatestOffers is here. Presenting 50% Off Promo code for new most awaited movie Kahaani2. 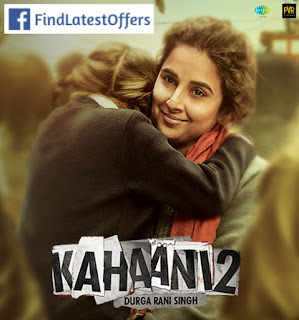 Book Movie tickets from paytm.com and apply promo code : KAHAANI2 get 50% CashBack in as Paytm cash.